Tragus is a pure cartilage and made up of thick tissues and tiny nerves. Hence, one may expect much lesser pain as compared to other body parts piercing like belly or nose. Now, that you have a piercing, it is nothing but obvious to adorn it with a beautiful piece of ornament for the exceptional visual appeal. 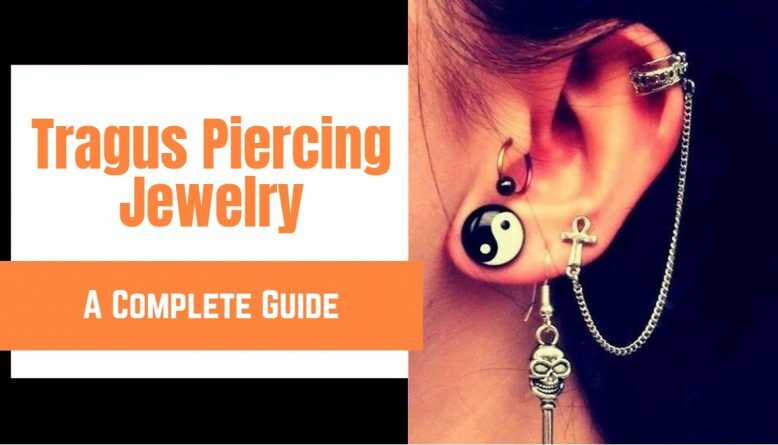 Find all your doubts about tragus piercing jewelry answered below with selected suggestions of jewelry options you would want to consider. Should you wear tragus piercing jewelry? What kind of jewelry for tragus piercing? When should you change tragus piercing jewelry? What’s the point in getting tragus piercing if it’s not flashed around with a pinch of gold or silver? Tragus piercing is in fact one of the most common body piercings (became popular during early 2000’s*) which is crowned with a jewel even though it is slightly painful. Since the tragus covers the ear canal, any good piece of jewel simply doesn’t fail to highlight. Tragus area is thicker than most other parts and accordingly a shining jewel, like diamond stud, suits the most. Try not to wear very large sized jewels, especially if you frequently use earphones or mobiles, to minimize the pressure on pierced tragus and avoiding possible injury if you get caught up with these devices. A pierced tragus should be mounted with a jewel once it is fully healed or else you may end up ruining the entire experience if tragus is not given due time to heal. One may go for ring jewelry during initial periods after fresh tragus piercing as it is breathy and light which provides your tragus the best opportunities to heal. 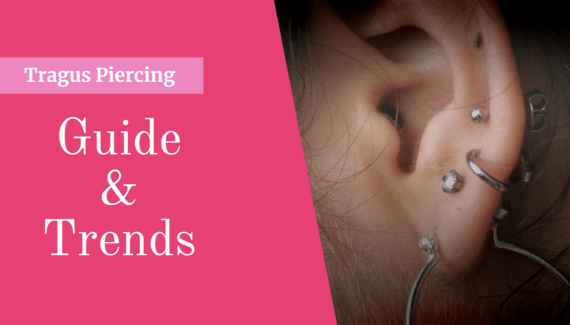 Choosing the right metal for tragus piercing jewelry: Tragus piercing, like any other body part piercing, must be adorned with an apt metal to avoid any infection. You may go for gold and silver as these two metals are traditionally accepted options proven to be suitable for pierced body parts. If the budget permits, you may also consider titanium or platinum as a safe bet. Rings are surely one of the most preferred options for tragus piercing jewelry. You may go for simple rings, beaded rings, or designed rings which may look simple bot not less elegant. These are suitable for girls/ women of all age groups. If simple isn’t your style and you crave for something more sophisticated and fashionable, you must be looking for beautiful studs. 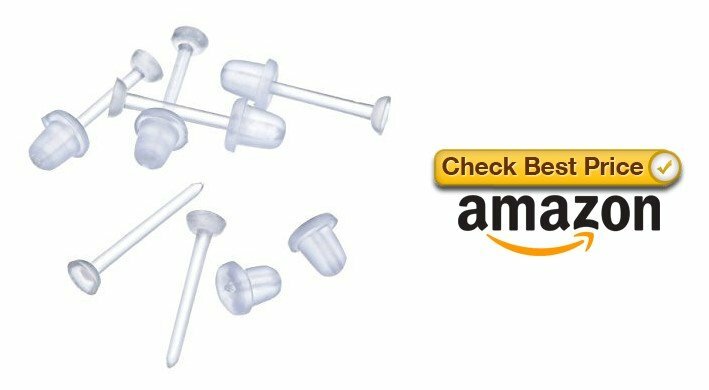 Being reliable and handy to wear or change, you may opt for an artificial stud or many of these for daily different looks. Though a small diamond stud would surely catch the most attention around. Studs are available in different styles and designs, one popular option is a labret stud. It comes with flat back inserted from rear side through the piercing and screwed from the top. Flat back studs are comfortable and usually not visible from back of the ear. These labret studs are quite easy to wear and remove. Studs are available in other shapes as well like heart stud or flower shaped studs which may provide a more professional and elegant look. You may pair these studs with rings worn in the ear lobes as an attractive option, or you could also give an abstract look by mixing and matching different designs. Piercing enthusiasts would always vouch for barbells as they are trendy and fashionable. They even come with studs if you prefer a small diamond for your tragus. Barbells are available in many styles such as straight barbell, spiral barbells, curved barbells. Straight barbells are most common for their easiness to put on as piercing jewelry. Ear cuffs are less popular but you cannot ignore them as a trendy jewelry option for their unique and stunning designs. 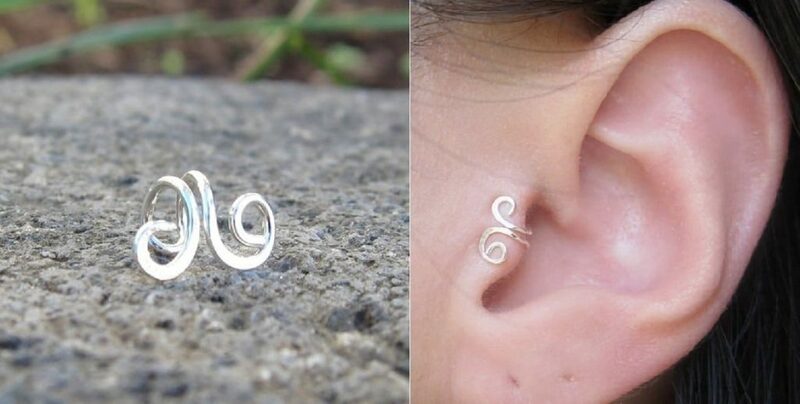 You could give these a try even before piercing your tragus by wearing a clip on circular ear cuff. That will give an idea of the looks and comfort for your ears. You may want to consider an internal threaded tragus jewelry especially if you are concerned about possible infections and pain of wearing external jewelry. An internal jewelry is less likely to rub against the sides of the puncture and hence could be more comfortable. But yes, these cannot be easily changed as expert help is needed. You may want to consider it for first few months and then switch to other jewelry options once the piercing has fully healed. Normally you should change or at least clean the tragus piercing jewelry every 6 to 8 weeks to avoid bacterial infections. However, its good to have even more frequent cleaning sessions if the schedule permits. For the first timers, soon after you get your tragus piercing done, it may swell up a bit or occasionally cause irritation sometimes within first month. This time frame is very crucial because a freshly pierced tragus is highly prone to infections. Frequent (could be daily) cleaning of tragus is must during this phase. Refer detailed tragus piercing after care guide. 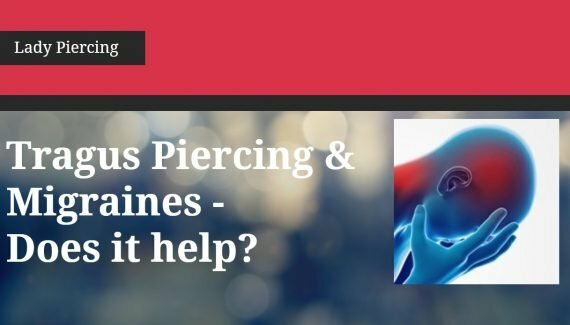 It is recommended that you take the help of a piercing expert for jewelry changes during first month and to be extra cautious, for the initial six months, if you are not comfortable doing it yourself. Jewelry changes should be minimal during this period to avoid possibility of infections due to different metals/ designs having their own effect on pierced tragus. Is your tragus piercing getting infected, or going for a sports session, or not just in mood to adorn a jewel? The first question that must crop up is how long can you afford tragus piercing without jewelry ensuring it doesn’t close. Some people are not able to manage without jewelry for a few weeks while some can afford even months! So, it’s highly varies with each individual. You may try it out first for 3 to 4 hours, if the jewel goes back comfortably, then increase the duration of period with small increments commencing from few hours to a day and then so on. It is important that you use a retainer for pierced tragus during the period when you are not wearing any jewelry. This will ensure that your tragus piercing does not close before you put on the jewelry again. After all, the benefits of pain borne for the piercing need to be preserved for much longer. Without a retainer, there is a high chance that piercing would close sooner than you expected. These retainers are purely made of plastic and offer anti allergic studs with rubber nuts. The translucent white color makes these more easy to carry when you don’t want to flash around any jewels. Hope the above guide is useful. In case of any doubts or suggestions, please feel free to leave a comment below.